My process begins by walking in woods and fields in Maryland and Virginia to collect mushrooms varying by season and circumstance. Traditionally, spore prints on paper are used to aid identification. These prints, though beautiful, are also impermanent. A light breeze blows them away. 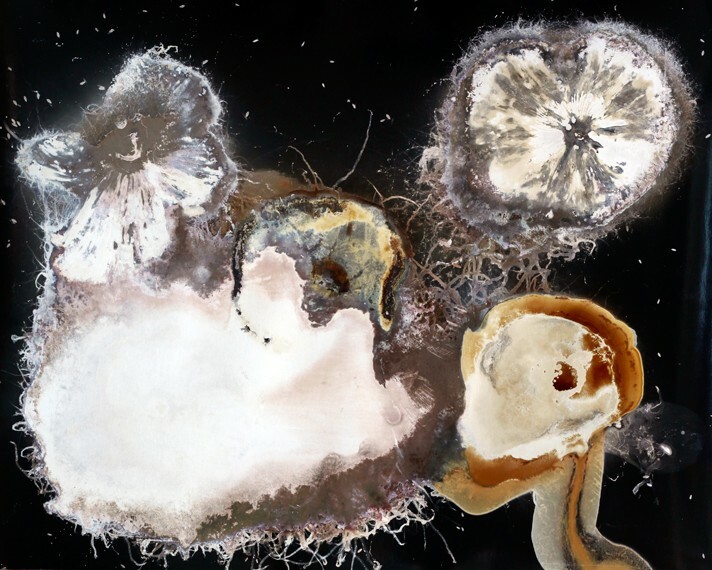 I use photographic processes to create permanent representations of the life cycles of various fungi which are mysterious, ephemeral, and ecologically essential. 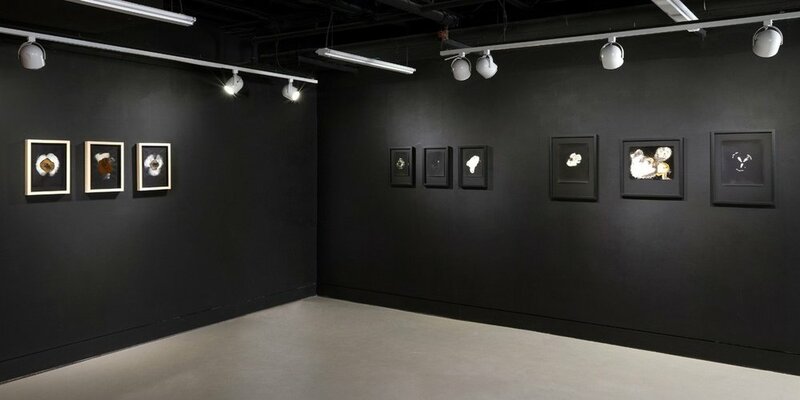 To make the photograms, I leave a mushroom cap on silver gelatin paper from a few hours to a few days. In that time, the spores are released, larva inside hatches, and the cap disintegrates, often creating a radiating effect. In the darkroom, I expose the paper to light, develop the print, and let the remains of the mushroom wash away. Photography is an anchor for this exploration. I know its processes and materials and am interested in its alchemical nature. A photograph hardly distills the incredible systems that form and sustain mushrooms. I sought to re-form the delight of coming upon something on the forest floor that is completely new and strange. The prints create a trace of that experience, rather than a facsimile. 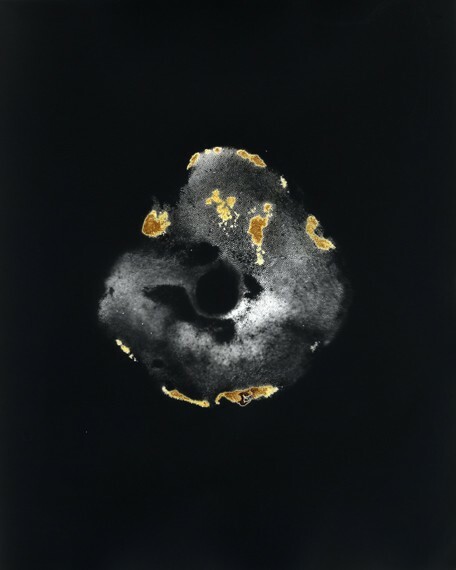 Jack O’Lantern #3 (omphalotus illudens), 35x44 in, bioluminescent mushroom cap on large format color film, scanned and inkjet printed, 2013. Jack O’Lantern #2 (omphalotus illudens, 35x44 in, bioluminescent mushroom cap on large format color film, scanned and inkjet printed, 2013.